At the intersection of passion, ambition, and love lay the red shoes. 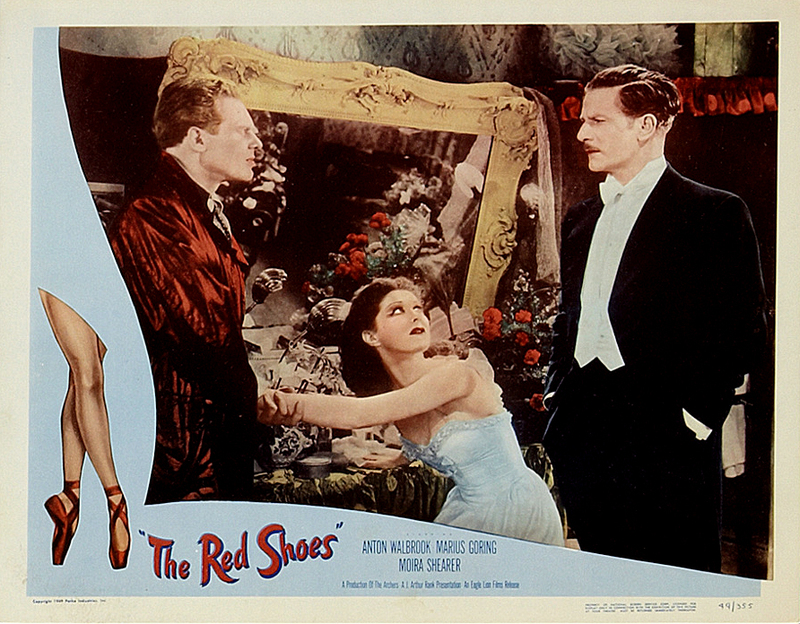 I arrived late to an appreciation of the Pressburger/Powell collaboration The Red Shoes, released in England in 1948 by the Rank Organisation. Give me The Sea Hawk and pirates, or Excalibur and King Arthur, I used to grumble. Don’t give me ballet! Flash forward 20 years. I trespassed in the ballet world again recently as I sat writing Dutch Girl and learning about Audrey Hepburn’s aspirations for a career in dance—sat not only here stateside but also in the very theater where she once performed, the Stadsschouwburg in Arnhem, the Netherlands. She studied for four years in Arnhem with a Dutch ballet mistress named Winja Marova and followed that with a stint in Amsterdam under Sonja Gaskell and then in London under Marie Rambert. All three are important names in European ballet—Gaskell is very well remembered and Rambert is a bona fide legend. Ask Audrey at any point in her life what she aspired to be and she would say “a dancer.” She never answered “an actress.” Meryl Streep—there is an actress, Audrey would tell you. But even though Audrey had played Gigi on Broadway and then won a Tony Award for Ondine the next year, she claimed she faked her way through. She did what an instinct for survival told her to do and lived to tell the tale. 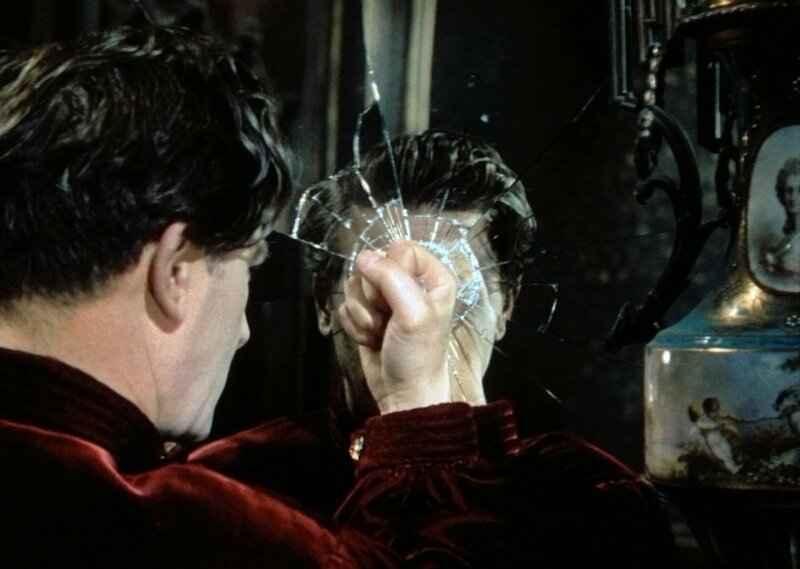 Tortured Lermontov punches a mirror. I have to find out what Audrey thought about The Red Shoes, which is set in post-war London at a time when she studied under Rambert and began a brief but intense career as a chorus girl after coming to grips with the fact that her dreams of ballet would never become reality. The Red Shoes tells the story of the rise of ballerina Victoria Page as molded by ballet impresario Boris Lermontov. He asks her at a critical point, “What do you want from life?” She answers at once, breathlessly, “To dance!” It was an Audrey moment. 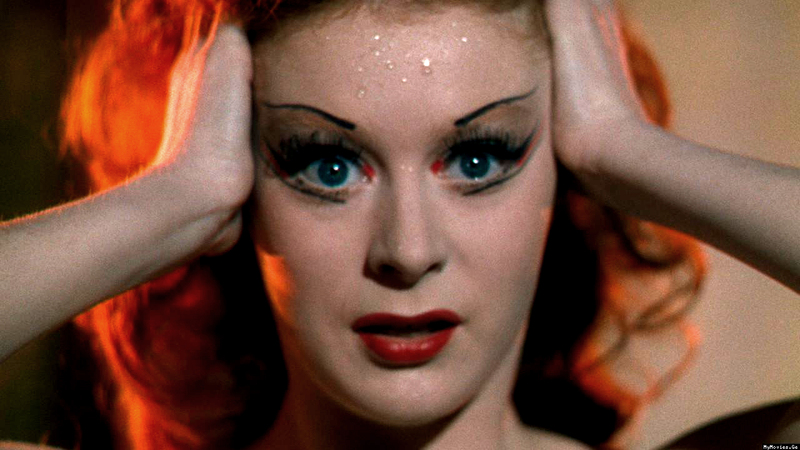 I always find The Red Shoes, now digitally restored, an astonishing experience on many levels. It presents the world of professional ballet as muscular and visceral, one minute beautiful, the next nightmarish, and always obsessive; it saturates your eyes with Technicolor designed by director of photography Jack Cardiff; it lays bare the souls of a trio of characters who will break your heart for their spectacular individual talents and crippling human limitations. Then there’s Vicki Page, played by real-life-ballerina-turned-actress Moira Shearer. Vicki has it all under Lermontov, all she has said she ever wanted, ever dreamed of, and then loses her way by falling in love with composer Julian Craster. You just want to shake her by the shoulders and scream, “Snap out of it! He isn’t worth it!” But no matter how many times you watch The Red Shoes, she never listens. The confrontation: Craster, played by Marius Goring, confronts Lermontov with his love for Vicki. What a fascinating woman Moira Shearer was. She had been a Sadler’s Wells ballerina and a great rising star—until The Red Shoes. After that she claimed the traditional ballet world considered her a sellout for lowering herself to act, and her career never recovered. She continued to dance for a while and then tried acting full time, but neither worked out. Later on she would lecture and write and finally she died in 2006 at age 80. Boy, I wish I had known this woman. One more link between Audrey and The Red Shoes: Fourth billed is Sadler’s Wells principal dancer Robert Helpmann of Australia. On May 9, 1940, Audrey sat in the city theatre of Arnhem and watched the Sadler’s Wells touring company featuring Helpmann and Margot Fonteyn dance. It was a turning point in the life of an 11 year old, and she would tell the story of stepping onto the stage with these forces of British ballet to deliver flowers to ballet mistress Ninette de Valois. Please forgive me for stumbling blindly through the first decades of life avoiding The Red Shoes. I’ve learned the error of my ways. Ballet rocks. And, for me at least, never does it rock harder than in The Red Shoes. *Thinking about the Patricia Wilde video caused me to dig it out and upload it to Youtube. It was my first job as a producer (co-producer, actually) and one of my first creative experiences in the edit suite working with post-production ace Kathy Kruger. This video hasn’t seen the light of day for 21 years, but it’s part of the historical record of American ballet and I believe for that reason it should be preserved.